Re: Brad Burns and Zio Sys is back! was searching once again for our friend zio and stumbled back to the original site. Seeing im going to be moving my site and was considering deleting the copy that has been there for 5 years. I figured since its been a long while its time to move on. Once getting here and seeing hes looking for investors its kinda scary... Reality speaking I hope he has learned from his mistakes in the past and wont do something stupid. I wanted to thank the admins/mods/and everyone else that brought closure to my world and even the ones that thought i was in on it. I will be keeping the original thread for at least another year and then dumping it. if anyone wants to take a gander at what happened im sure by now there are quite a few new people see http://dw5304.com/forums.gideontech.com/index.php/topic,34476.0.html note that you will not be able to use your login as it is a http copy. ps.. http://hostjury.com/blog/view/398/dedicated-server-company-declines-to-bring-zio-inc-servers-back-on-line ... and it starts again. Oh dw, please keep the thread up until the end of days?! This is "about the CEO". And here is a 20 minute video where he talks about Stone Mountain Data Center. It is so excellent seeing what he puts out there; I mean he is sitting in the dark in his crappy living room, with neon game PC setup. 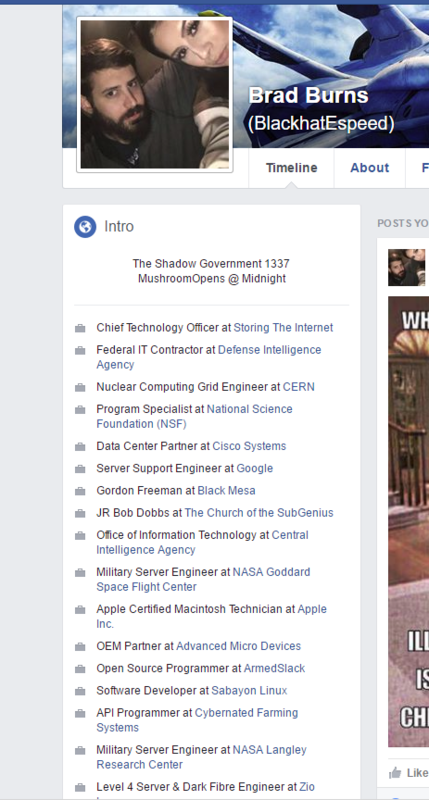 He talks about the military, the Federal Government, CERN, the Large Hadron Collider, the CIA. He says he's personally spoken with "the Stone Mountain Data Center project manager" and that he's "surveiled the site".